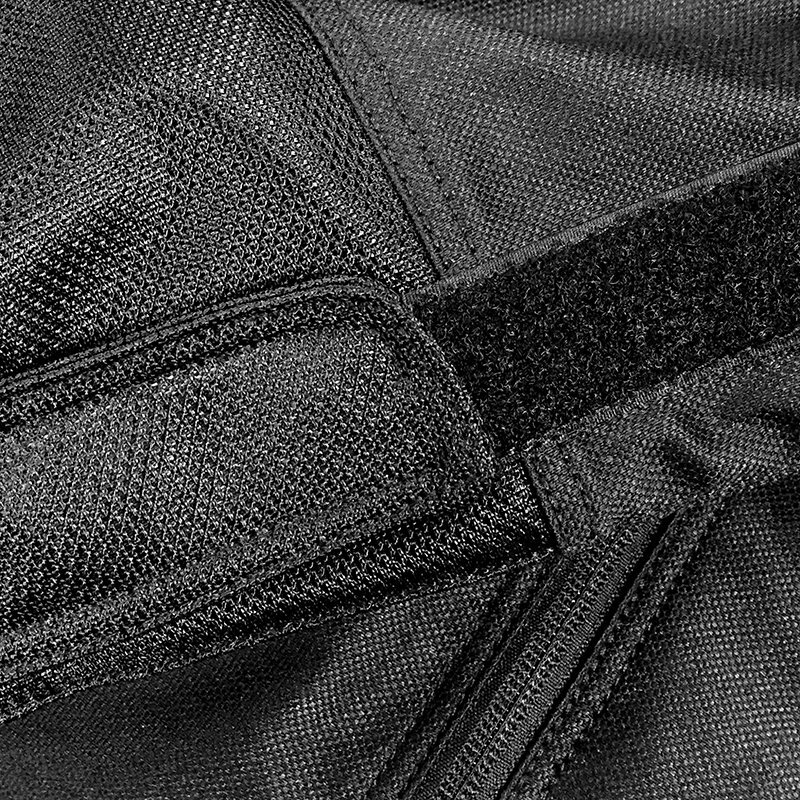 More interestingly, buying a £20 Halvarssons’ ‘Waist Zip’ means that you can, in effect, zip the Forsair into any belted jean or trouser. It’s a very clever little accessory that other manufacturers should copy. 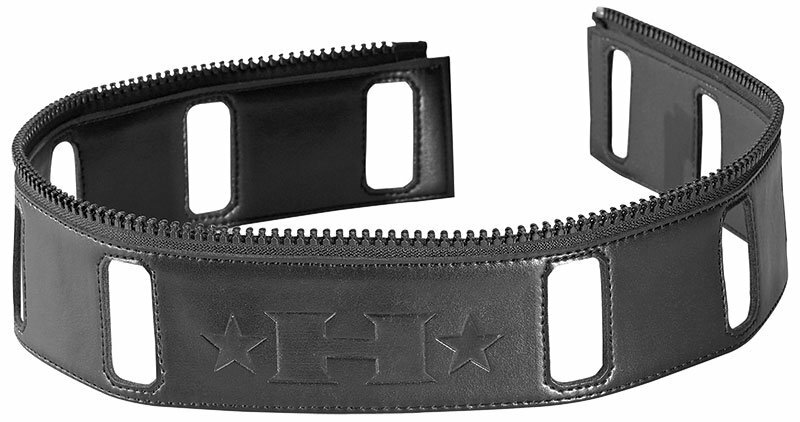 You’ll find it on the website, or you can click here Halvarssons Waist Zip. 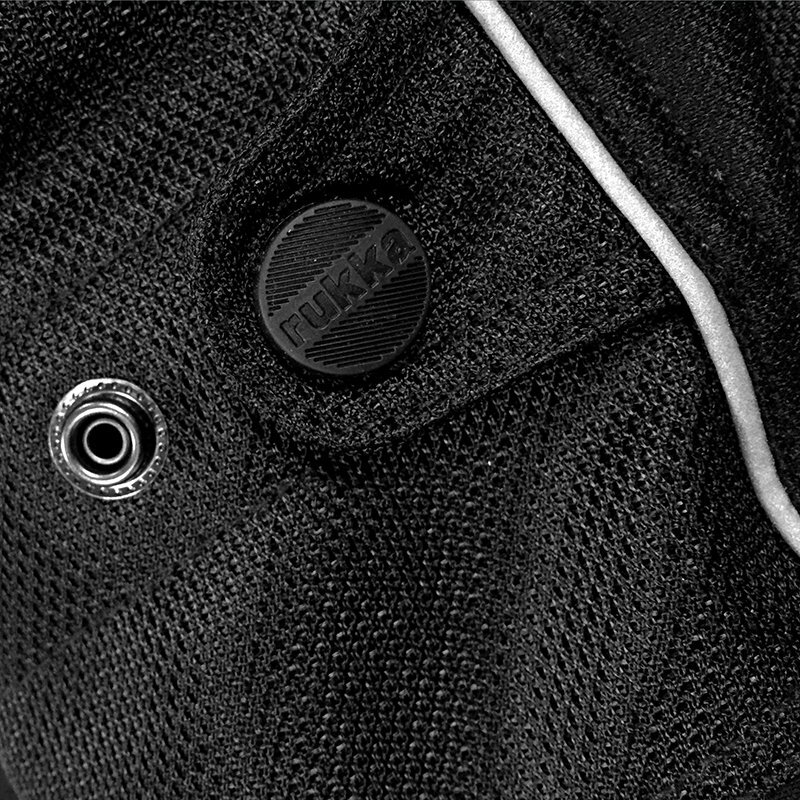 The jacket doesn’t come, as standard, with a back protector, but you do have the option to fit Rukka’s D30 All Back protector to either the Level 1 or Level 2 standard. 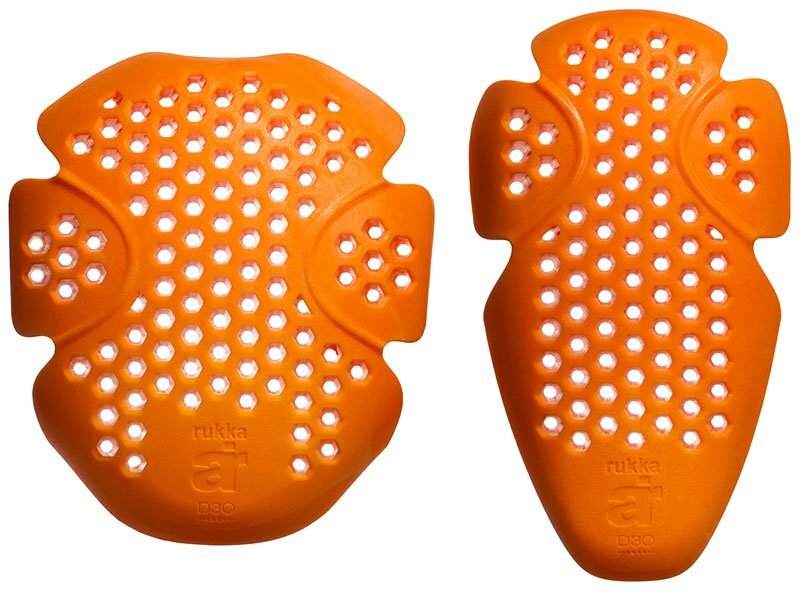 Click Rukka D30 armour for information. 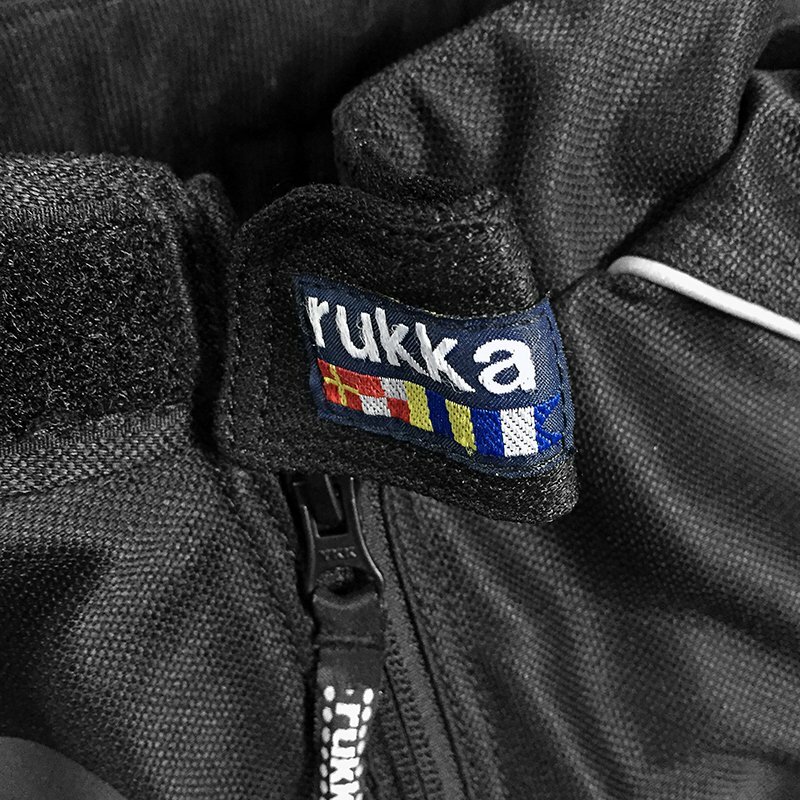 On the subject of rain, Rukka does do a version with a removable Gore-Tex inner jacket, but we don’t think this is the way to go. 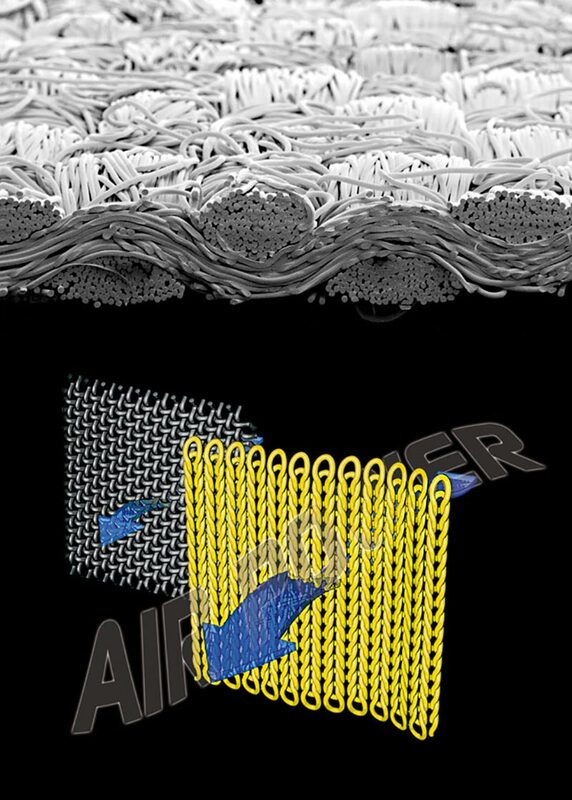 It may keep you dry, but when the rain stops you’ll be left with a jacket that is soaking wet, and that will take a time to dry out. 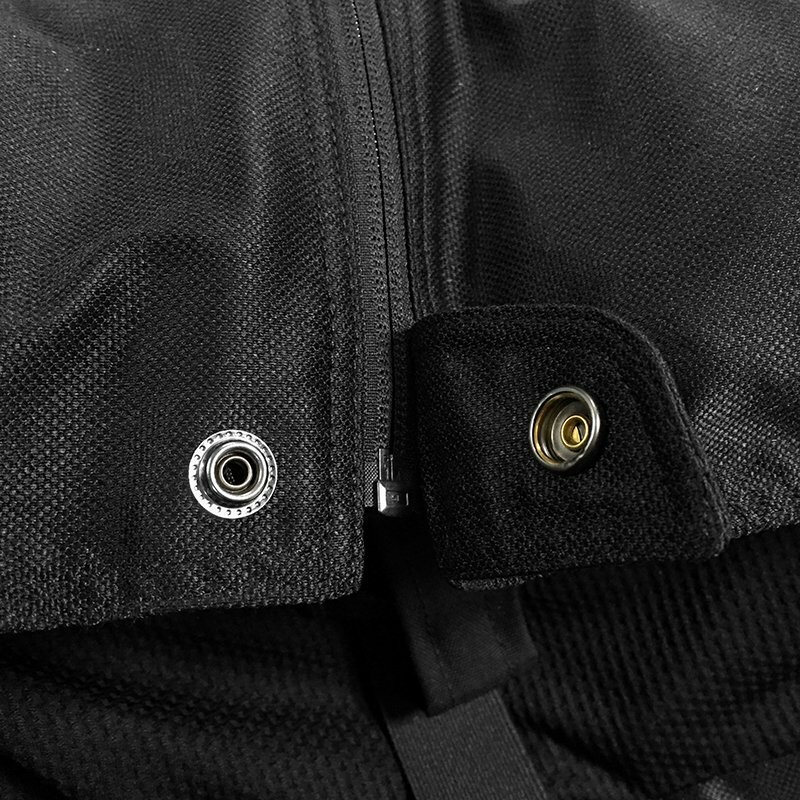 Better, in our view, to carry a small waterproof jacket like the Scott Ergo Pro, and put it over the Forsair when you need to. 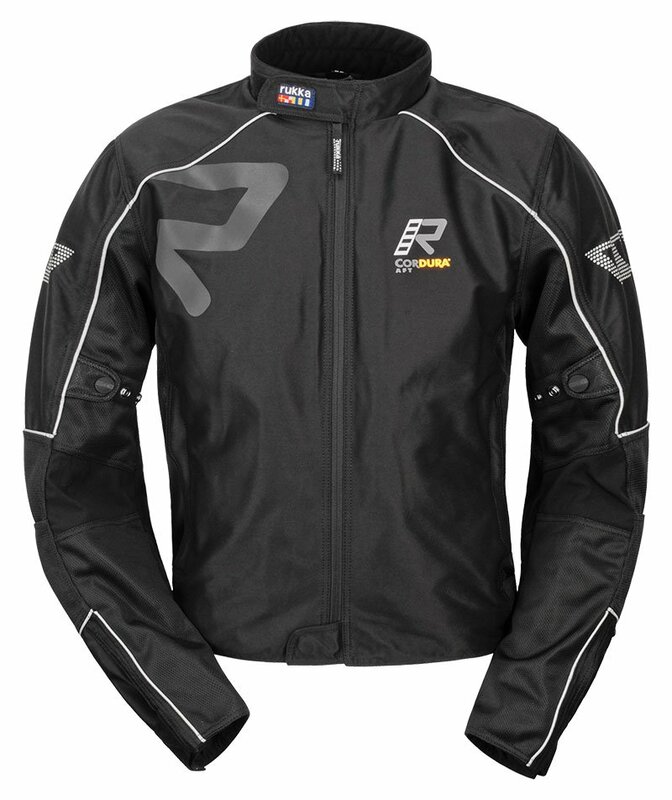 When the rain’s gone, take it off; the jacket will be bone dry. 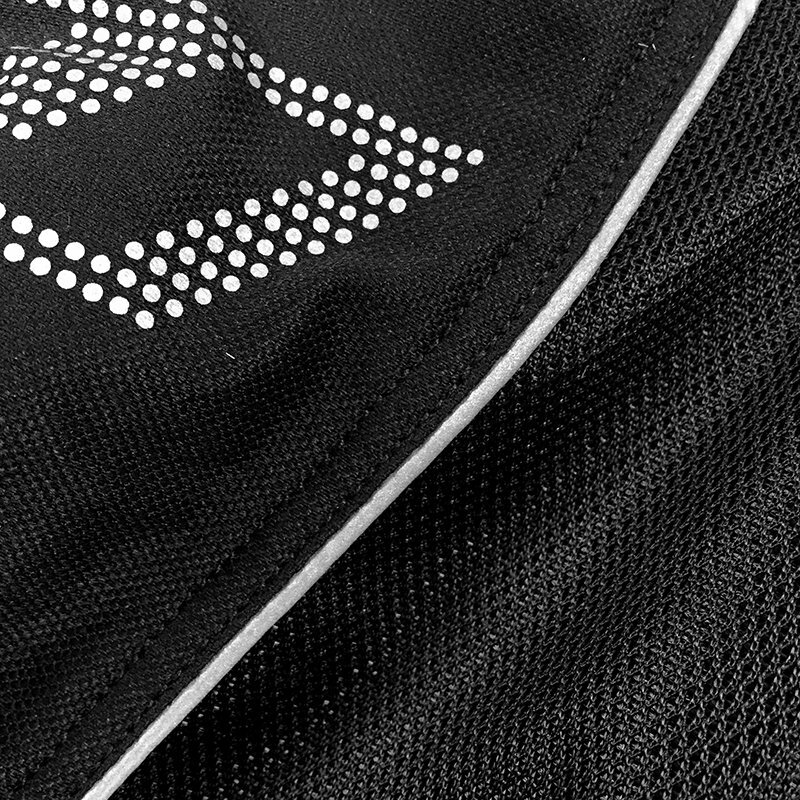 For information on the Scott jacket, Click here Scott Ergo Pro. 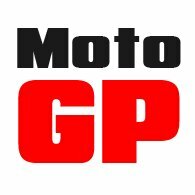 Obviously, you can buy the jacket, or jacket/pant combination over the internet, but if you want to get the sizing bang on, pay us a visit. 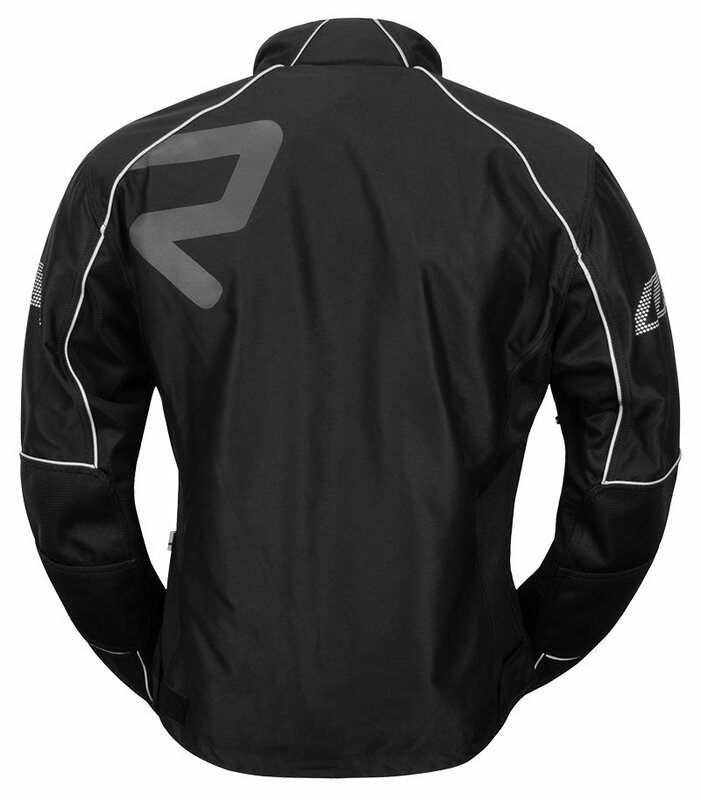 We try our level best to always keep the Forsair jacket in stock in all sizes. And nobody in the world has larger stocks of Rokker jeans than we do. 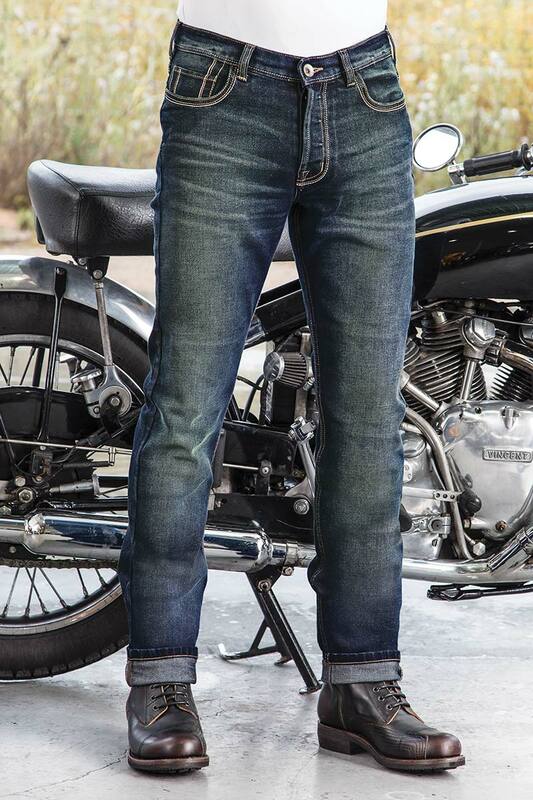 Click Rokkertech Jeans to check them out. 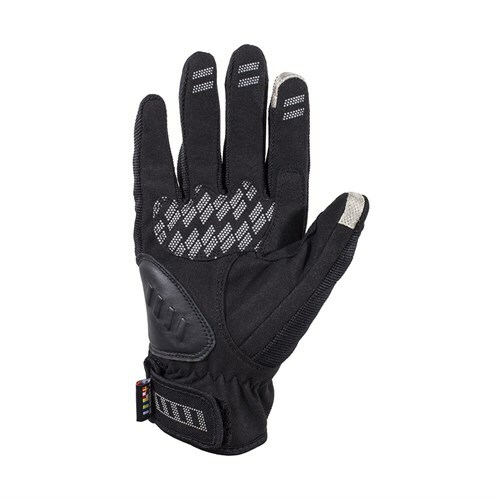 Finally, finally, if you want a matching, cool, vented glove, the Forsair glove is in a class of its own. 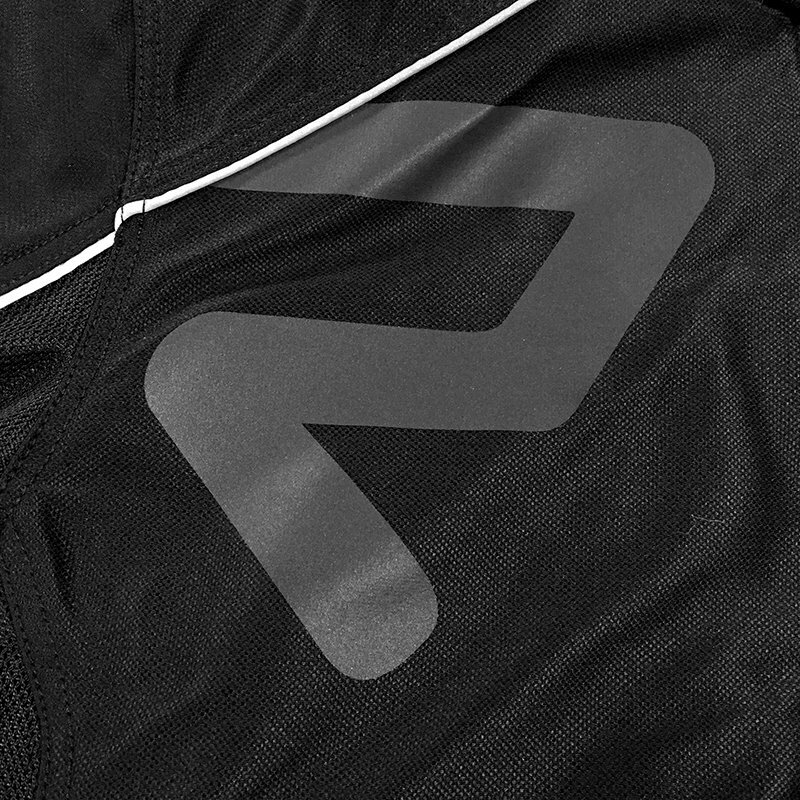 It’s short, stretchy, supremely comfortable and very strong. And it flows the air better than any glove out there. 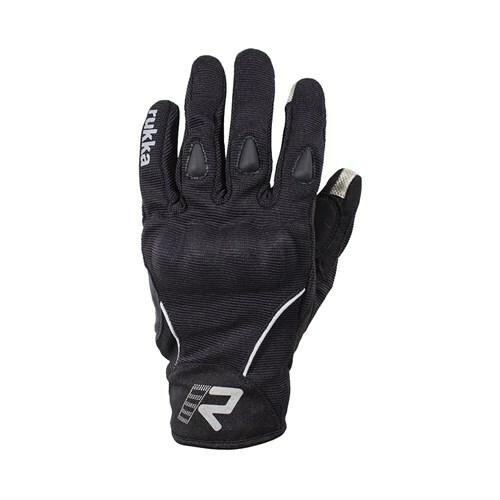 Click Rukka Forsiar Gloves for more information.